While the holiday season gives us good vibes all over, there is also a certain level of stress (holiday shopping, end of the year wrap-up at work and a million and one holiday parties to attend) that comes along with it. 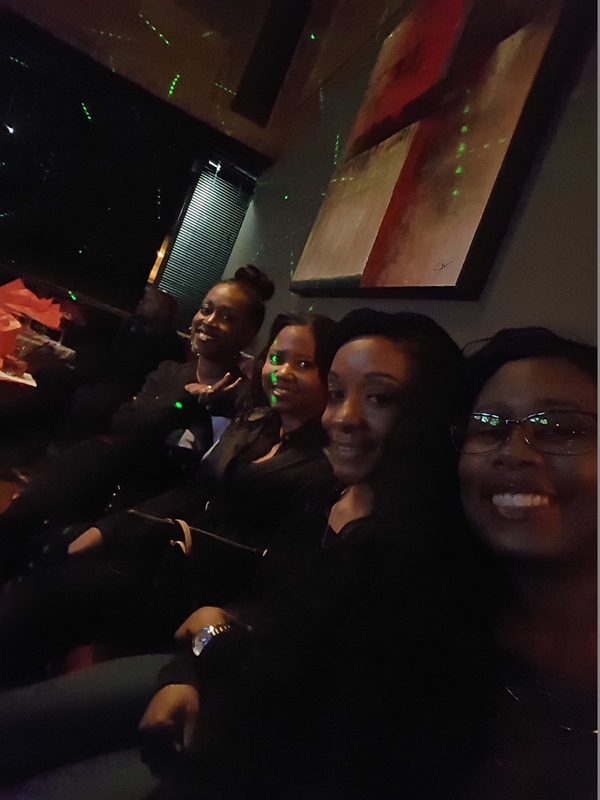 Often, there isn’t enough time for a full vacation and sometimes a vacation just might not fit in the budget … so, when you want to spend some quality time with your girls, what is there to do? We all lead extremely busy lives, so it can be tough to get everybody together for a few days, especially around the holidays. But I (Val) came up with the perfect solution. Have a girls weekend. And have it at home. Staycations were all the rage a few years ago during the Great Recession when Americans were strapped for cash and had to come up with innovative ways to travel and vacation. The staycation is just what it sounds like – a vacation at home. My friends were driving in from different cities after they got off work, so rather than book a hotel for the first night, they all spent the night at my apartment. I cooked for everyone, so there was no need to spend money on going out to a restaurant. Everyone was able to eat and catch up over a glass or two or three – or, who’s counting anyway – of wine. By design, Saturday was a full day. We started the day off with a quick breakfast from Shipley’s (my out-of-town friends love Shipley’s for some reason) and then headed to City Centre, known for its restaurants, shopping and entertainment. We all had appointments at Life Spa to get massages. I mean, what’s a girls weekend without massages? A little pricey, but the relaxation and calm is well worth the $125 (including tip) I spent on my hour-long massage. Our appointments were two at a time, so while some girls were getting their massages, the rest did a little shopping. We reconvened after and checked into our hotel. There were four of us, so we got a room at Hotel Sorella, also located in City Centre, with two double beds and one bathroom … this was reminiscent of college days, but we had a routine, so it worked for us. The hotel was really nice and the room was, too – $189 plus taxes and fees split four ways was just over $55 each. We decided to eat a late lunch so we walked literally two minutes to Yard House (perks of staying at a hotel centrally located within shopping and a variety of restaurant options) and had a great meal. Then it was back to the room to relax and get ready for the evening’s festivities. We took turns taking showers and shared mirrors doing hair and makeup. It took years to master this skill of utilizing shared space, but once it works, it works forever! A friend of mine was having a birthday party for her boyfriend at a local bar so we headed there for the night. Admission was free, food was provided – so all we had to pay for were drinks and they were reasonably priced. Again, we didn’t have to dish out a lot of money to have a good time! We made it back to the hotel pretty late, and everyone was exhausted, so unfortunately we weren’t able to make it to the Monnalisa Bar, like we had planned to originally. But I heard it’s beautiful, so if you ever have the opportunity, I’m sure it’s worth a visit! So this was the end of our little girls weekend/staycation. 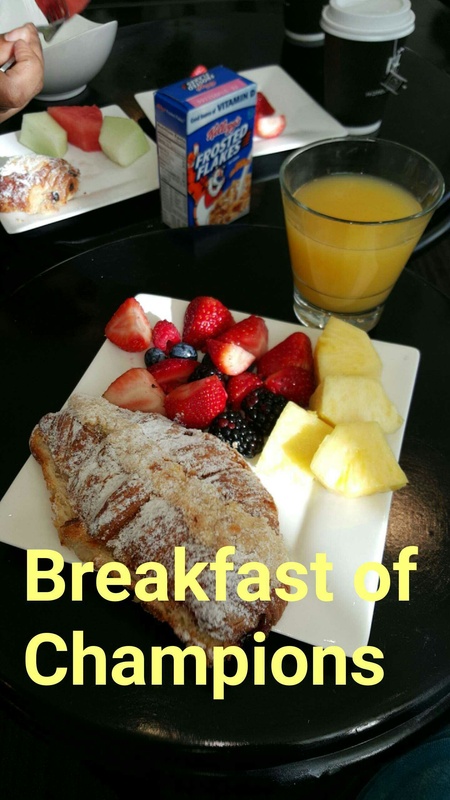 We decided to take advantage of the free continental breakfast before we checked out of the hotel – again, make those dollars stretch! High hopes, but unfortunately the breakfast just didn’t cut it. Not one piece of the fruit was sweet and the juices were all watered down. For most of us, we made a bowl of cereal or pastry suffice. As we checked out and said our goodbyes, we vowed to have these girls trips more often and tentatively planned the city for our next staycation. Next postAirbnb … Should We Do It?